The beaches are what draw most people to the Canary Islands. Not us. My mother and I went for the Canaries’ secret side. 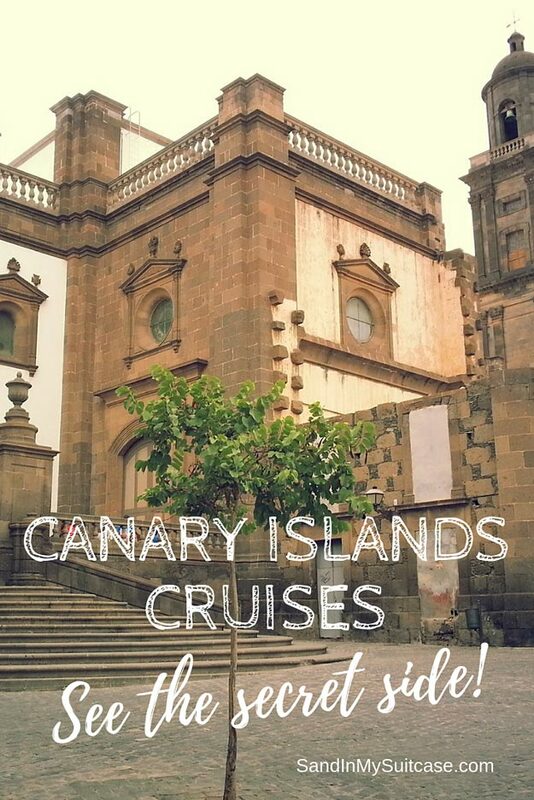 Our Canary Islands cruising itinerary took us to five of the seven islands. We gawked at stupefying lunar landscapes, ancient villages clinging to steep mountainsides, gaping volcanic craters and lush pine forests. We tasted sweet Malmsey wine, hiked in UNESCO-listed national parks, saw rare lizards and explored one of the most beautiful villages in all of Spain. 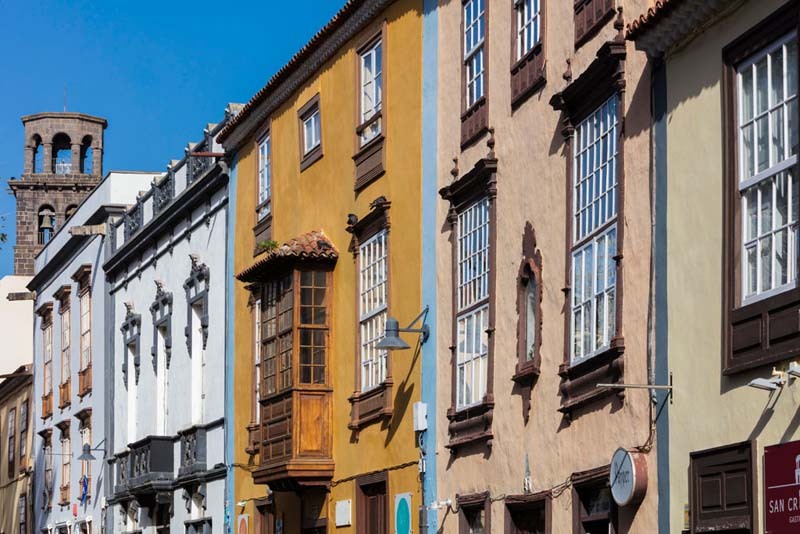 If you’re looking for a different Europe cruise itinerary, a Canary Islands cruise fits the bill. 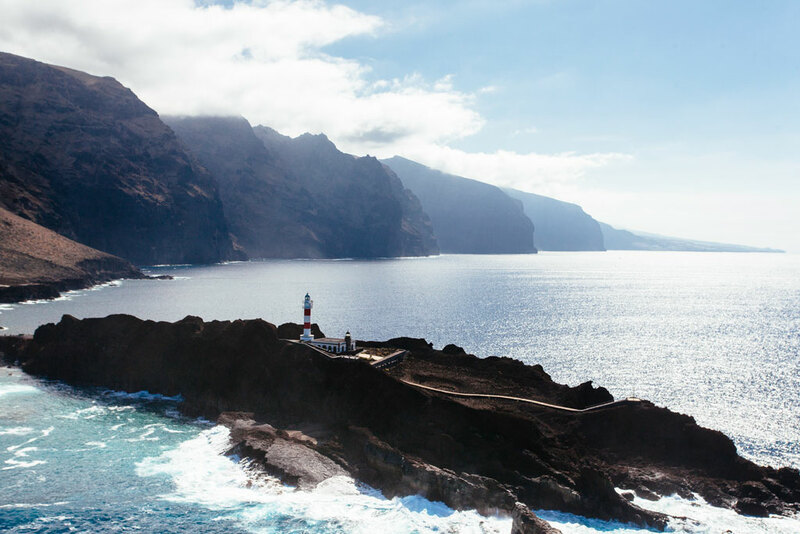 You’ll discover that each island is different, with its own charm – and that there’s a whole universe of amazing things to do in the Canary Islands beyond turning pink on a beach chair. 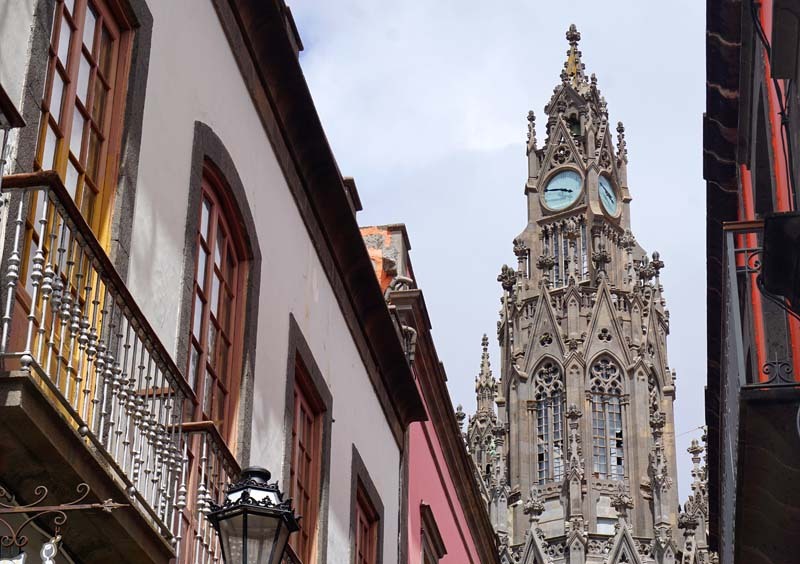 Bonus: We also visited Madeira and Morocco on our Canary Islands cruise with Seabourn. There’s more to the Canary Islands than their beaches. 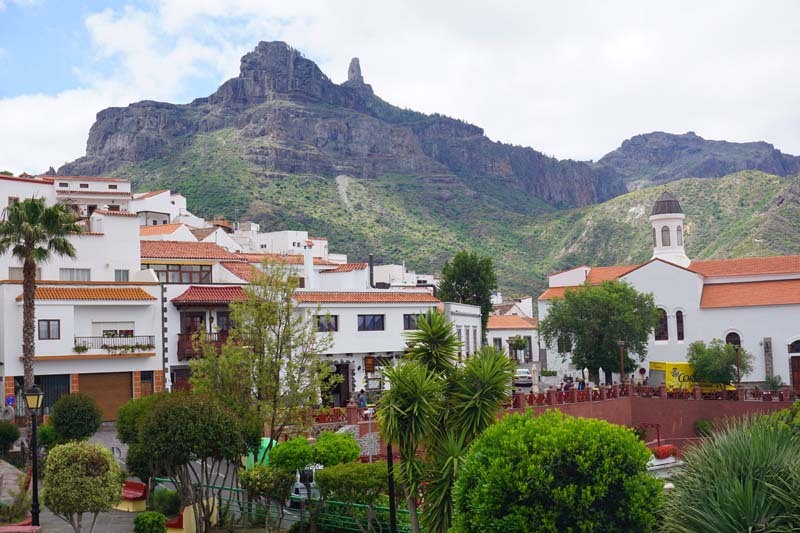 Like the cute town of Arucas on Gran Canaria, dating back to 1480. This cafe looked inviting — but we had to get back to our Seabourn cruise ship, or we’d miss the boat! The seven Canary Islands – Tenerife, Lanzarote, Fuerteventura, Gran Canaria, La Gomera, La Palma and El Hierro – belong to Spain, but are located off the northwest coast of Africa. Tenerife is the largest Canary Island. 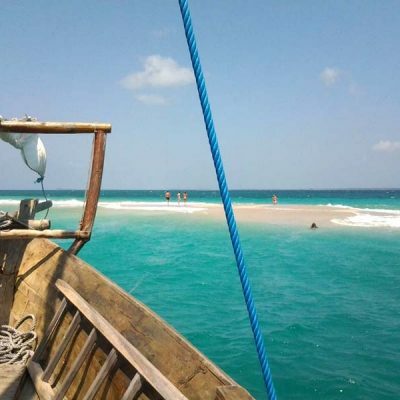 It attracts some 10 million visitors a year (mainly to its southern beach resorts). 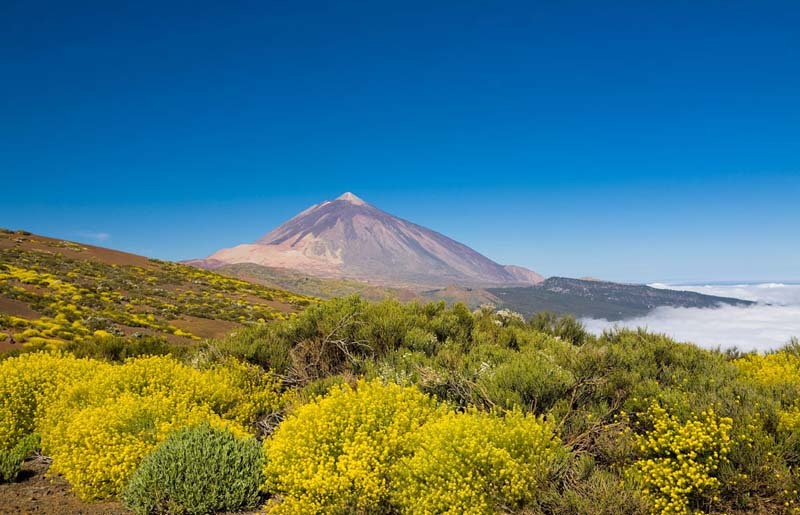 We could have taken an excursion to see Mount Teide National Park – a UNESCO World Heritage Site with an enormous volcanic crater. But as we planned to see the volcano on La Palma island (and didn’t want to get volcanoed out), we chose to visit La Laguna instead. Also a UNESCO World Heritage Site, La Laguna is a very pretty university town. To get there, we boarded the modern T1 tram at a stop near Tenerife’s Santa Cruz port; the ride up the hill and out of Santa Cruz city took about 45 minutes. 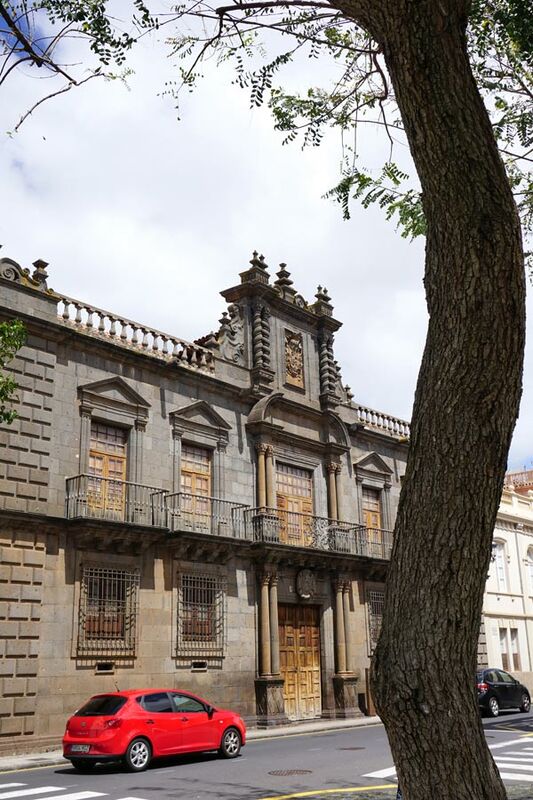 Centuries ago, La Laguna was the capital of Tenerife, and it was lovely to wander in the warm sunshine, map in hand, looking at all its elegant 15th to 17th century buildings. The overhanging balconies were especially striking, painted in bright colors of ochre and robin blue. Being a Sunday, many families were also out and about, their young children riding trikes around the squares. Sitting at an outdoor café, bingeing shamelessly on sweet hot chocolate and delicious poppy seed cake, piled high with whipped cream. 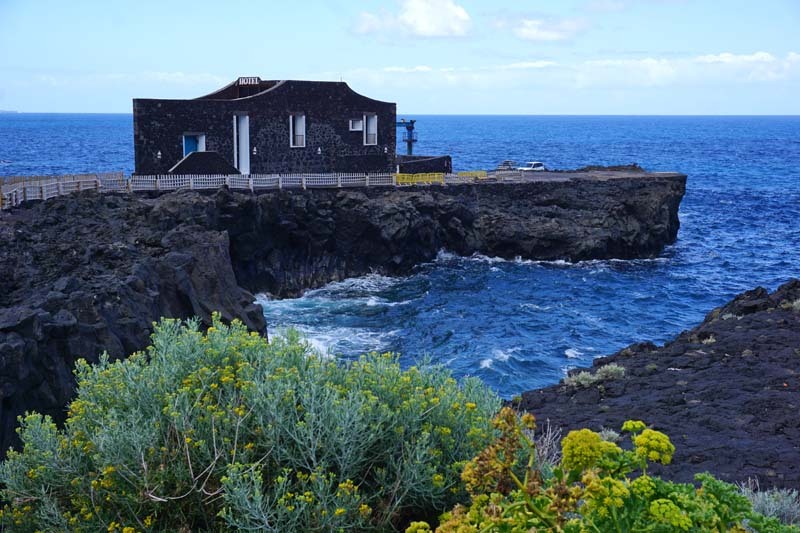 El Hierro: The best Canary Island? El Hierro probably takes the prize for the nicest Canary island. 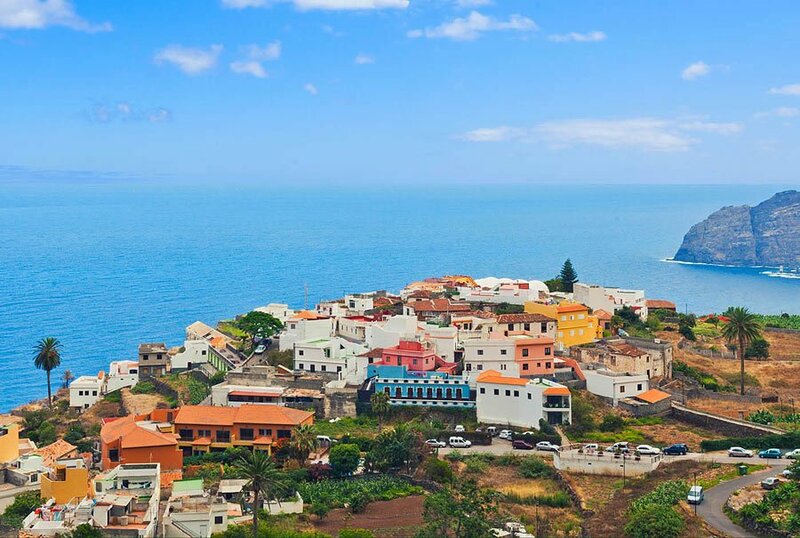 Quiet and rugged – a special island – it’s the smallest Canary island (a maximum of 5,000 people live there year-round). The dock was barely large enough for our Seabourn Odyssey ship to snuggle up to! 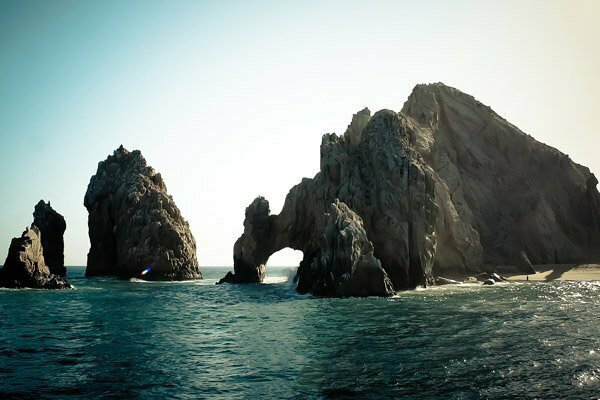 Back when the world was believed to be flat – until Christopher Columbus sailed the Atlantic Ocean to the Americas in 1492 – the island was considered the end of the earth. El Hierro certainly felt a little like the farthest end of the world. Electricity only came to the island in 1975, and until the 1980s, the locals grew everything they needed themselves (the only things they lacked were olives and sugar). Most islanders still keep a couple of goats and make their own cheese. And every household grows their own grapes for wine. We took a ship sightseeing tour around the island. Tiny villages sprouted square houses painted peach and white. 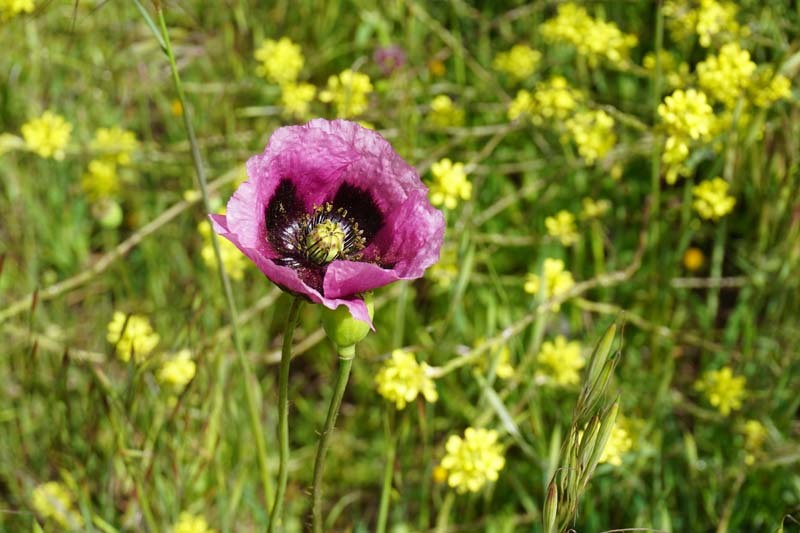 They were few and far between, separated by jagged green mountains and fields of prickly pear, wild blood-red poppies and nasturtiums. High up a narrow winding road, we stopped at the Mirador de La Pena for coffee and views over the Golfo Bay. Hang gliders floated above the valley floor below, terraced with vineyards. Higher up again, we stretched our legs on a short walk through a cool Canaria pine forest. 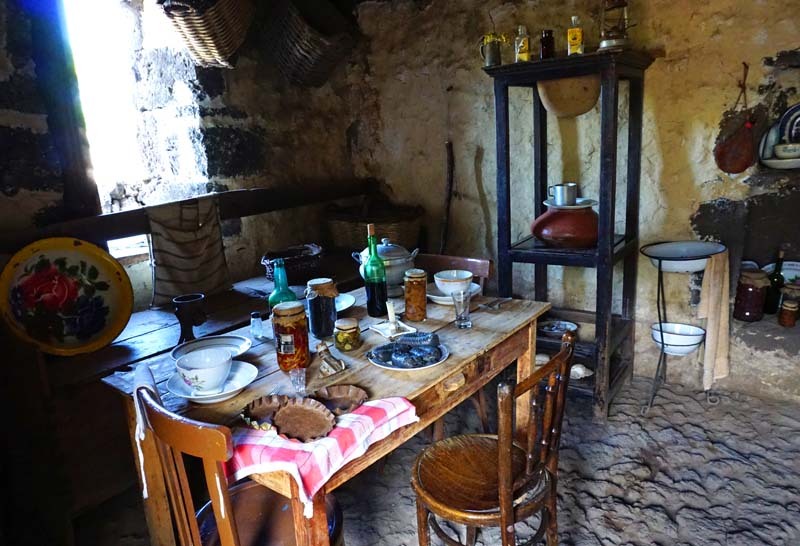 Our next stop was the Eco-Museum Poblado de Guinea, a complex of 21 former shepherds’ huts. 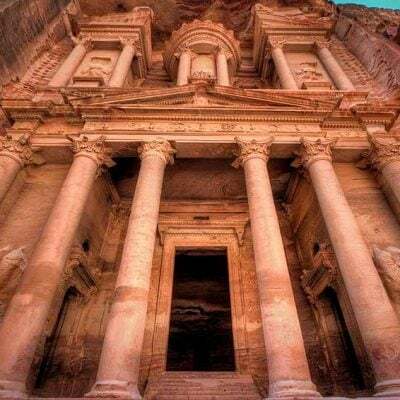 Made from cow dung and lava rocks, they’ve been restored and kitted out with furniture from different time periods, from the 15th and 16th centuries to recent times. Much was made of the lizard breeding center at the museum. A rare species of lizard, only found on El Hierro, once grew to lengths of five feet. I felt somewhat let down by the insignificant little creature, barely 8 inches long, trying valiantly to hide behind a glass window from all the people staring at it! The last stop was the teeny Hotel Puntagrande, once the smallest hotel in the world. Can a hotel get any smaller? Perched on a rocky point out in the sea, it looked like it would be a great place to stay once renovated (it was boarded up when we visited). Ladders led down into the rocky coves around it, and I imagined it would be quite fun to go swimming in the water, literally five steps from the hotel, on a hot summer day. 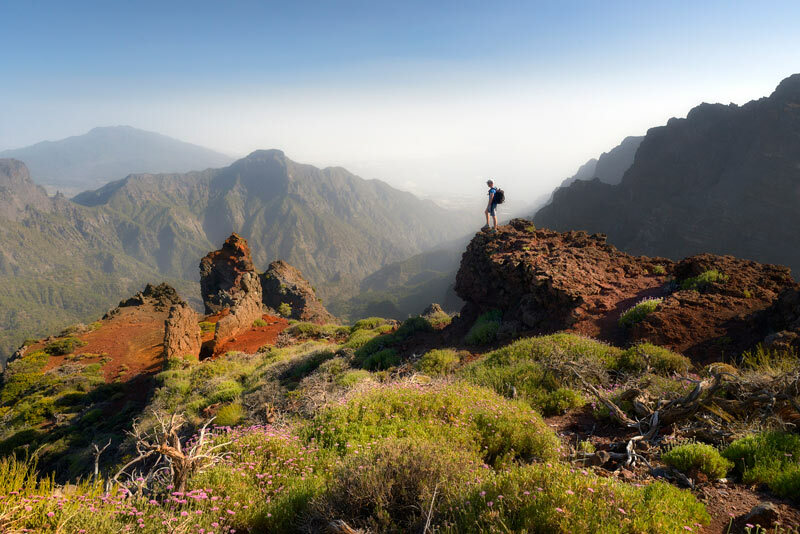 The greenest island, La Palma is the Canary island for hiking, boasting some 600 miles of hiking trails. But no hiking excursions were offered on our cruise for this island. So I did some advance research on how we could arrange a hike on our own. The best way is to go by public bus to Caldera de Taburiente National Park, home to the world’s largest erosion crater (sculpted by water erosion from a very old volcano). And there we enjoyed a truly spectacular hike! How to hike Caldera de Taburiente National Park on a cruise stop? See my DIY guide here! 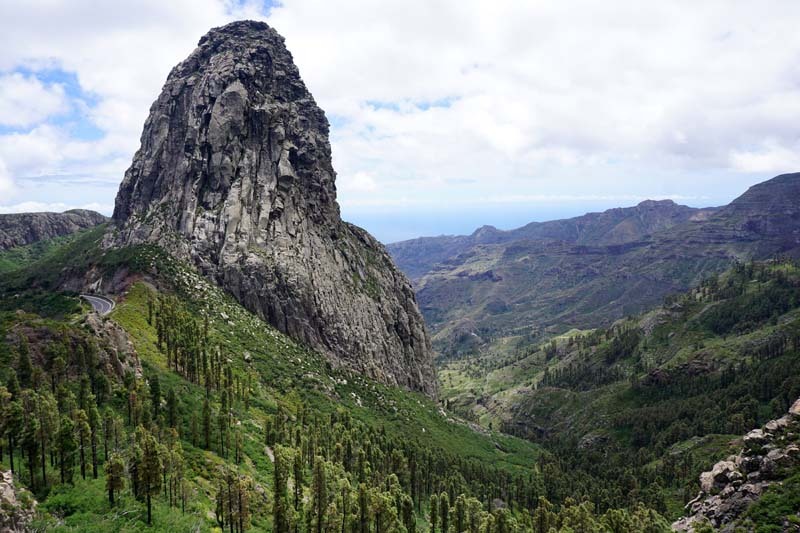 The second smallest Canary Island, La Gomera is another volcanic island, lashed with rugged cliffs and ravines and generously sprinkled with large pockets of ancient green forests. It’s considered the “alternative” Canary island, known for nature not nightlife. 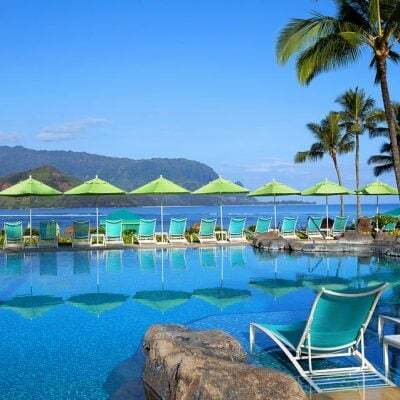 There are few facilities for tourists – only a handful of small hotels and vacation apartment rentals. Again, this doesn’t exactly jibe with images of the Canary Islands you probably had in mind when you first thought of the Canaries, right? 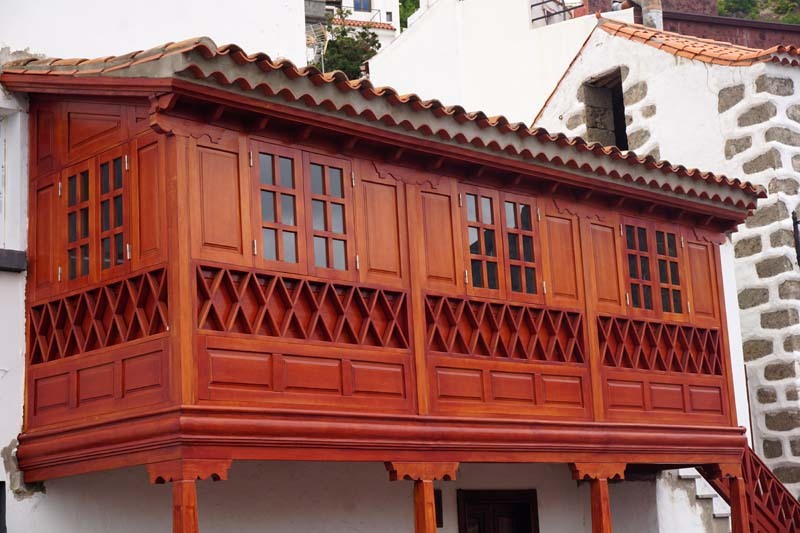 La Gomera has its own whistling language, known as Silbo Gomero. It’s the only whistled language in the world. UNESCO declared it a part of our “Intangible Cultural Heritage of Humanity” in 2009 – listen to it here in this video on the UNESCO site. 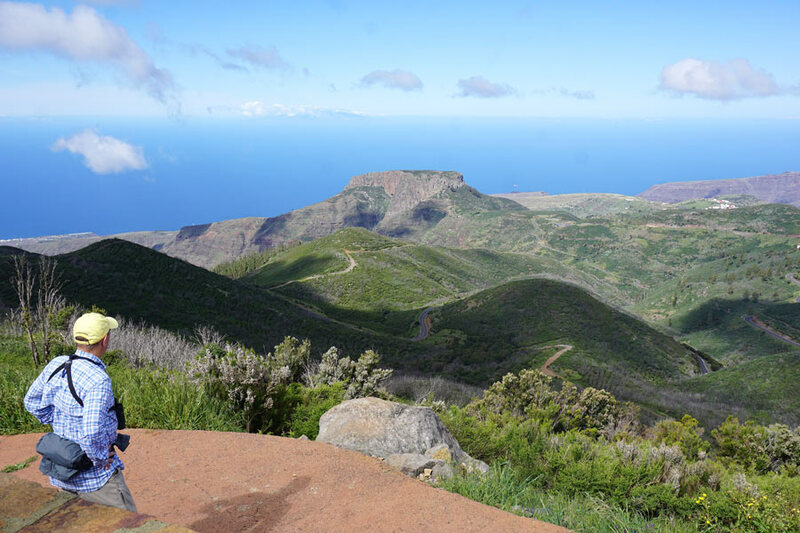 The south part of La Gomera is dry and scrubby and gets little rainfall. But in the north is the island’s most outstanding feature – Garajonay National Park – home to one of the world’s oldest natural forests and another UNESCO World Heritage Site. We took a shore excursion organized by our ship to hike in the park. We started our hike some 4,300 feet above sea level. Though the sun was warm, the air was cooler up top, and we were thankful we’d stuffed sweaters in our backpacks. We first huffed and puffed our way 600 feet up steep red dirt steps cut into the trail, where we were rewarded with panoramic views at the top. The views at the top were worth the climb up! Then we strode down, down, down about 1,500 feet through a marvelous canopy of tree heather dripping with lichen. Everything grew in the forest as if on steroids. Four-foot-high dandelions looked like small trees with trunks as thick as an arm. Birdsong filled the air, and everyone in our group had a smile on their faces. By the time we reached the pretty Chapel of Lourdes (a tiny white chapel hidden in the forest) for a rest stop and then returned to our bus, we’d logged about six miles of hiking and a whole lot of feel-good moments. Talk about contrast! El Hierro and La Gomera are sleepy, quiet and untouched by tourism. Gran Canaria, in comparison, is big and alive and home to 1 million people. There was no way we could see the whole island in a day, but our “Best of Gran Canaria” sightseeing shore excursion packed in as much as it could. 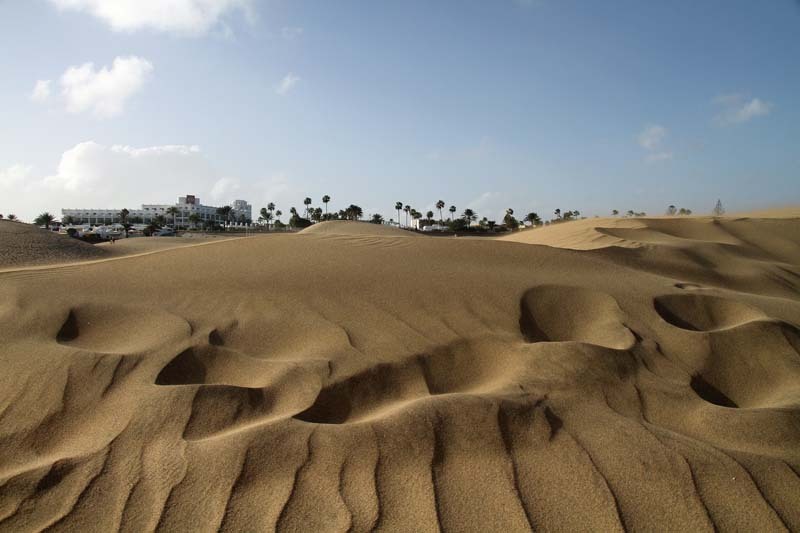 The most unforgettable was a peek at the Maspalomas sand dunes at Maspalomas (the largest resort town in the south part of the island). Not that the dunes were unattractive. It’s just that the high-rise apartment buildings and block-like hotels of Maspalomas, all cozying up to each other cheek-to-jowl, did nothing for me. I can’t imagine how crowded the town’s beaches must get in summer. What was beautiful was the drive from the south up though palm-studded ravines to the north part of the island. I had to close my eyes a few times though. The serpentine roads were so narrow, there was barely enough room for traffic going the opposite way to pass, let alone for our bus to grind its way up. We got the kinks out of our bus legs in Tejeda. Officially considered one of Spain’s “most beautiful villages,” Tejeda perches 3,280 feet above sea level in the center of the island, surrounded by orchards and farms. 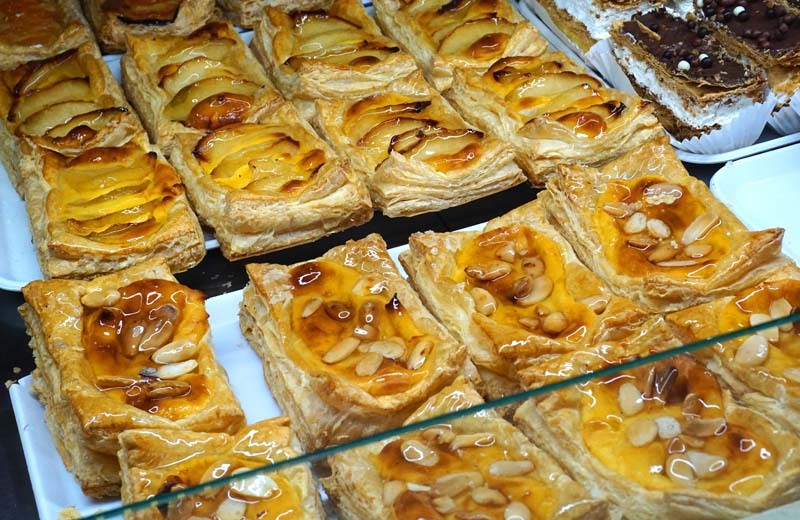 With free time to stroll about its white stone houses with red tile roofs, we popped into a dulceria to buy marzipan as gifts to take home, then shamefully ate it all. For lunch, we tasted the local Canarian potatoes – new potatoes, boiled with skins on, then salted and smothered with a sauce made from tomato, garlic and hot chili peppers. Delicious! Next we visited Teror, another lovely village, with lemon trees growing wild in the surrounding countryside. The village is noted for its colorfully painted, historic houses dating back to the 16th century and their lavishly carved wooden and stone balconies. Teror also has its own micro-climate, the opposite of the sunny beaches. And sure enough, it started to drizzle while we were there. We didn’t mind – we simply huddled in the doorway of the neoclassical basilica until it was dry enough to dash back to the bus. The last town we stopped at was Arucas – for a look at the Church of San Juan Bautista (Saint John the Baptist). Still, it was impressive, more cathedral-like and imposing than a church. Seabourn schedules their Canary Islands cruises for April and November. 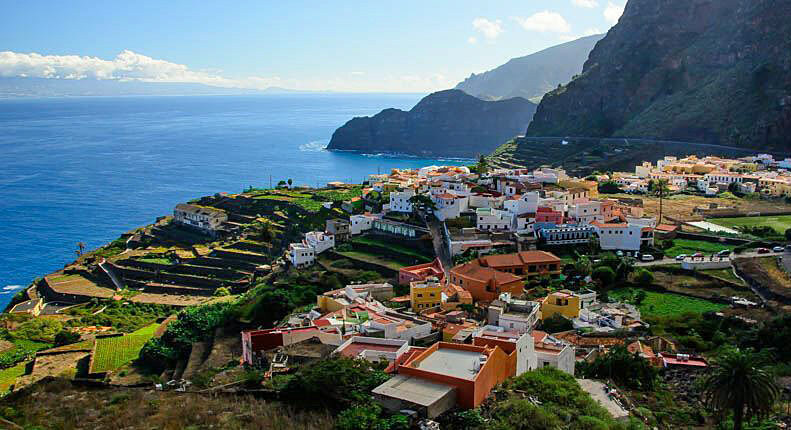 Best excursion on Madeira? 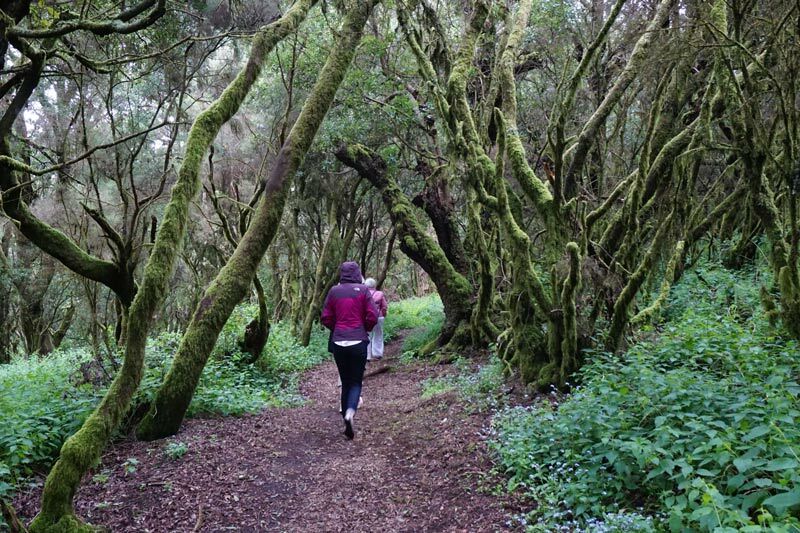 We enjoyed a lovely “levada walk” – read all about it here! 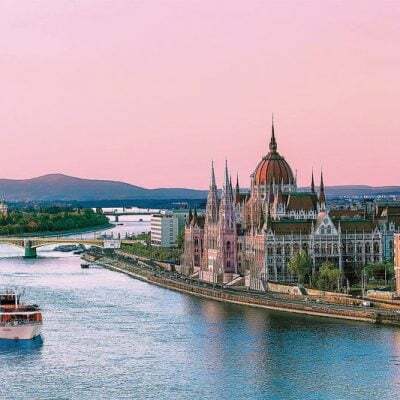 Unlike our Seabourn cruise – which spent six days on Canary Islands cruising – many cruises to the Canary Islands only call in at the largest of the Canary Islands, like Tenerife and Gran Canaria, possibly adding or substituting La Palma. 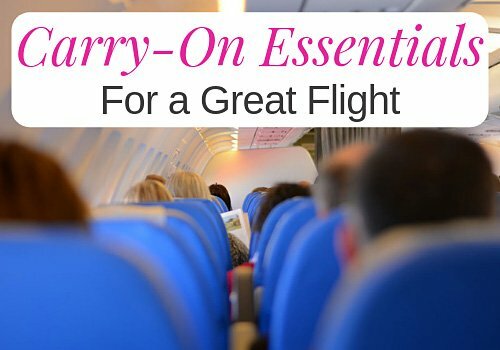 They may only spend two, perhaps three, days in the islands. So when researching Canary Islands cruise reviews, be sure to look at the itinerary carefully if you want to visit some of the smallest and (arguably) best Canary Islands. 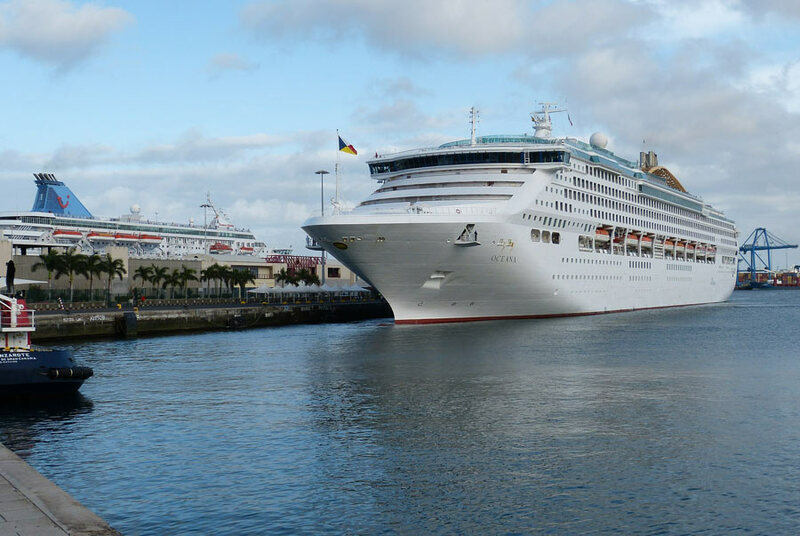 Starting or ending your cruise in Barcelona? Like this post? 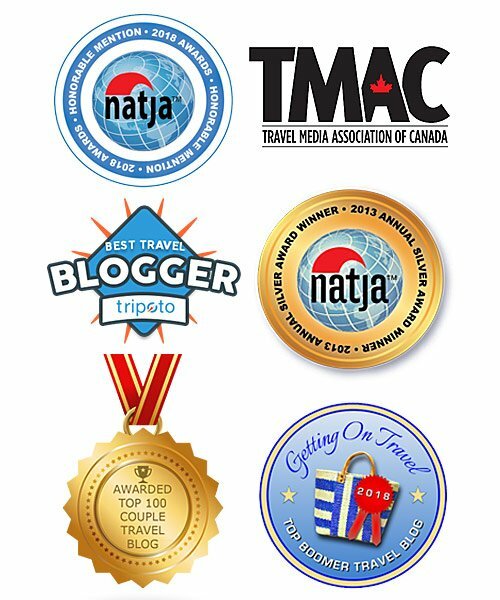 Then pin the below pin to your Cruises, Spain or Travel board! Beautifully written! The Canary islands seem otherworldly. I’d love to stay in the smallest hotel in the world. I mean, the location is perfect to spend some time in solitude :) There’s a tiny hamlet in the state of Meghalaya in India where people communicate in a whistling language. Quite similar to Silbo Gomero. It’s a delight to see them talking. There are quite a few places to “get away from it all” in the Canary Islands. But that tiny hotel would be something to stay in :-). And how interesting to hear that there’s another place in the world where people communicate in a whistling language! I had no idea the Canary Islands are so diverse. I’d love to go on a cruise like this and explore the less known parts of these islands. By the way, I listened to the “whistling language” which sounded really cool. I don’t think I would have understood what they said without the translation, but my dog surely did. She raised her head and was extremely alert during the “whistling” conversation. Oh, that’s so funny your dog was really attuned to the whistling language! It is pretty cool, isn’t it. We’d never heard of such a language before… Definitely unique! I’ve only been to Tenerife (also on a cruise) but the other Canary Islands look great! You missed the really special islands! You’ll just have to go back :-).